Making a surprise wedding proposal while traveling is one of the best things you can do, why? Because you will declare your love in a special place and will have an unforgettable memory. There are several romantic places where you can make a stunning marriage proposal, such as Paris, Prague, Rome.., but if there is a city that stands out by its beauty, mix of cultures, and photogenic neighborhoods, that´s Seville. The andalusian capital can presume of being one of the most beautiful cities of Europe thanks to its paved narrow streets, plazas and monuments, and its famous Guadalquivir river. 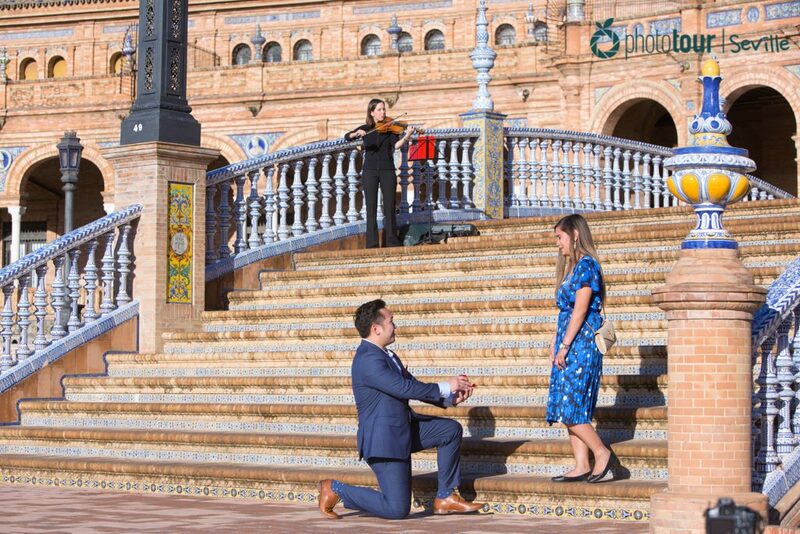 If you are thinking about making a surprise wedding proposal in Seville and want to know the most photogenic spots of the city, do not miss our list with the best places to make a marriage proposal! In this emblematic plaza you will find loads of sculptures and architectural elements that will give it a romantic touch to your marriage proposal, such as its large fountain, the bridges, and the corridors surrounded by white columns. One of the most photogenic spots of Plaza España is located below the main building, where the columns and arches are. Here you will get a stunning photo of your surprise wedding proposal that you will never forget. This charming plaza is located in the downtown of barrio Santa Cruz. 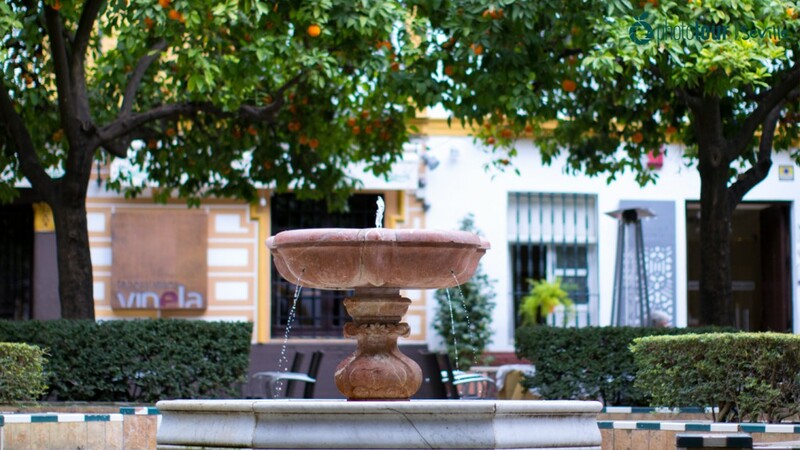 There you will find an intimate place with several orange trees (typical tree of Seville) and a marble fountain whose water makes a relaxing sound. Depending on the hour that you get there you will find people. If you do not want to find many tourists we recommend to visit it at night, from 22:30pm. You will enjoy intimacy and silence, a perfect way to make your surprise wedding proposal in Seville. 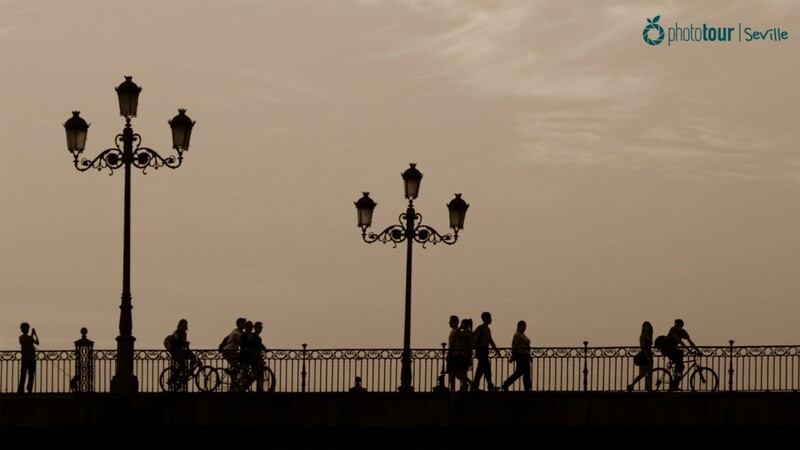 If you are looking for a iconic place in Seville in order to make your marriage proposal you should go to the bridge Isabel II, also known as Triana´s bridge. This bridge links Triana neighborhood and the city of Seville, well.. locals joke saying that the neighborhood do not belong to Seville as its has a population with an unique style. 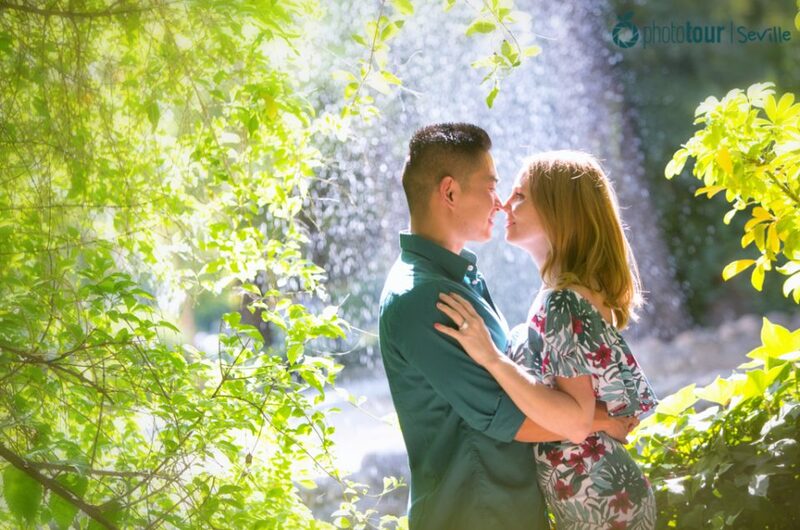 If you wait for the late afternoon you could enjoy an amazing sunset that will give you wonderful photos of your marriage proposal. This tiny plaza is unnoticed for many visitors as is located in a recondite spot of barrio Santa Cruz. To access there you have to go to Virgen de los Reyes square, and then head to Mateos Gago street and turn right at the first street. 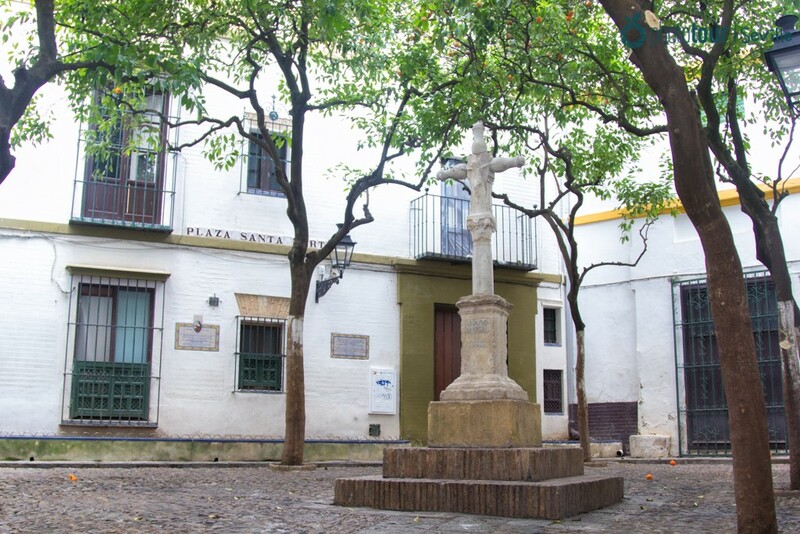 Once you get inside you will find a small plaza with a sculpture of San Lazaro cross in the middle surrounded by nice orange trees. Thanks to its remote location, Plaza Santa Marta has an enviable tranquility and silence, which are perfect for a intimate marriage proposal. Jardine del Murillo are located near by the wall of Palacio Alcazar. Here you will see numerous benches decorated with beautiful tiles, designed by the famous architect Juan Talavera. In addition, a wide range of trees and colorful plants decorate the park, making a perfect walk with your partner. Here you will find many photogenic spots for your marriage proposal. 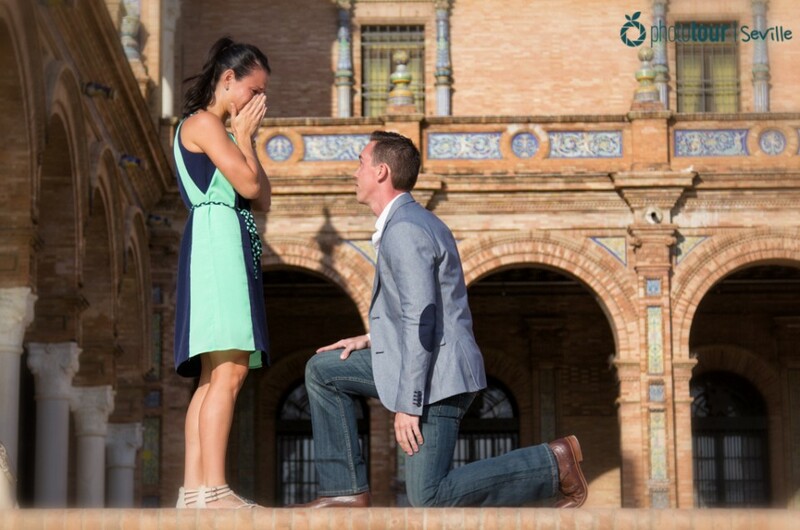 You already know the best places of Seville for your surprise wedding proposal, now you just have to plan it! Photo Tour Seville has a wide experience planning surprise proposals. Tell us your plan, when and where do you want to make it, and we will be happy to organize a successful marriage proposal. Contact us!